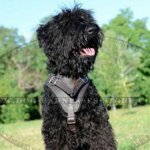 Every careful dog owner when chooses a dog collar for his dog considers not only the look of the dog accessory, but also tries to choose the right size of the collar for maximum comfort of the dog. 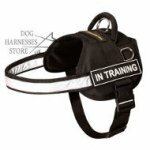 That`s why, before ordering a dog collar, you have to know, how to fit it properly. 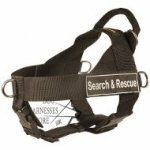 Unsuccessfully fitted dog collar can cause discomfort, trouble breathing or an injury if it`s too tight, the dog can also slip out of it if the collar is too loose. 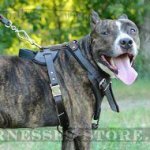 First of all, you should know, that all the dog collars apart from the materials they are made of divided into 3 types - buckle style collars, choke collars (martingale collars, choke chains, fur savers) and pinch collars (prong collars). So, there exist 3 types of measuring coresponding to the model of the dog collar. 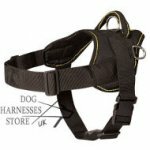 All that you need is to choose the dog collar you like and to make the right measurements according to the design of dog collar, following the instructions given below. Wrap a flexible tape measure arond the middle of dog`s neck and read the measurement. Write an exact neck circumference (size) without adding any notion. Please be advised that collar (3.9 inches 10 cm) has 5 holes and each one stands 0.9 inches (2.5 cm) away from another. 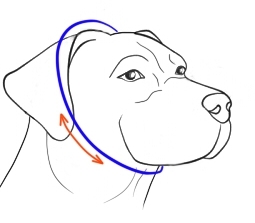 Your dog's neck circumference should reach the third hole (C). 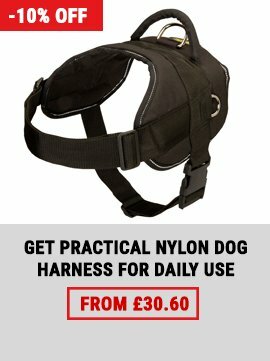 You can regulate a collar size when your dog grows and put on (D, E) or loses (A, B) its weight. 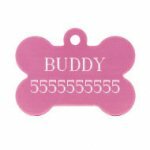 Note: Our dog collars are sized according to this measurement and not to the over-all length of the collar. 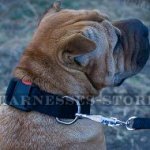 If you chose the first dog collar for your puppy, then measure around its neck with an allowance for 2 fingers to fit between the dog`s neck and collar. 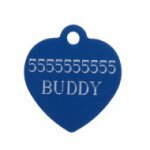 Choke collars are pulled over the dog's head so measure your dog's head circumference in the widest part (just below the dog's ears and jaw line - see the blue line on the picture). Add approximately 2-3 inches (5 cm) to the length you've already measured. 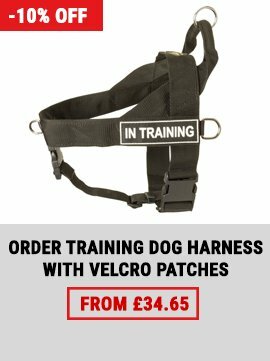 Note: If the size of a choke collar is too small, you can always order an additional links. 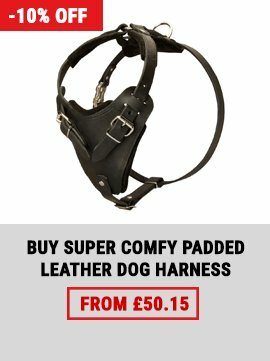 If the size is too large, just remove the needless links from the dog collar. 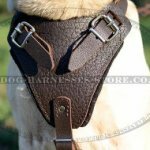 Turn your attention, that prong collar should be worn on dog`s neck right below its snout and not lower on its neck. 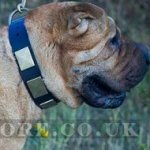 When choose a prong collar, measure your dog`s neck size right under its jaws. 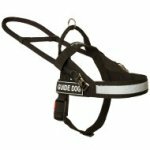 Note: Wire gauge of a prong collar is recommended by dog trainers dog different dog breeds according to their weight and strength. 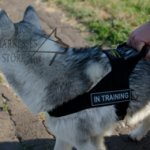 Our article about different types of dog collars will help you to choose the right one according to your dog activities. 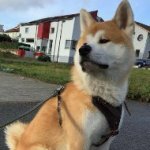 If you have some questions about ordering, shipping or choosing the right dog collar for your dog you can contact us and we`ll answer all your questions.